Working Meeting with Ms Miglena Pavlova, Executive Director of the Public Procurement Agency | Law Firm "Dobrev & Lyutskanov"
On 10 May 2016, the German-Bulgarian Chamber of Industry and Commerce organized a working meeting with Ms Miglena Pavlova, Executive Director of the Public Procurement Agency to inform the members of the Chamber about the new Public Procurement Act and its Implementing Rules, which entered into force on 15 April 2016. 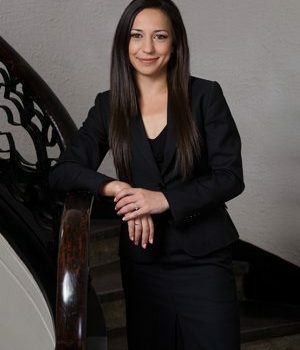 The Law Firm was represented by Ms Tereza Shishkova, attorney-at-law. The analysis covered the European and national context of the new legislation, its underlying principles and objectives, including the objectives to reduce the administrative burden, to achieve greater flexibility in awarding public procurement contracts, to ensure easier access of small and medium-sized enterprises to the public procurement market, to use public procurement as an incentive for the application of environmental, societal and innovative criteria, and to foster professionalism in the sector.